The Arts Pot is a fund that supports people, who otherwise wouldn’t be able to afford to create and participate in theatre at the Royal Exchange. For the last six years, it has been making theatre more accessible for people across Greater Manchester. We know that you, our audiences want our theatre to be a place where absolutely everyone feels welcome and can afford to come to. Arts Pot is one way we can do this and create amazing theatre experiences for everyone. Around 20% of our Children's, Young and Elders companies rely upon Arts Pot support to continue working with us.  Your donation creates their opportunity, making the Royal Exchange a theatre for everyone. WHAT IS THE IMPACT OF THE THE ARTS POT? It unites people from all walks of life and provides them with an environment to build new bonds, explore their creative potential and bring communities together. With each year, the Arts Pot grows stronger. In fact, last year we raised over £14k. • 180 people get to the theatre by paying for their bus, tram or train ticket. The more we raise, the more lives we can change. HOW CAN YOU SUPPORT THE ARTS POT? • Young Company - the Young Company is our award-winning resident company for anyone aged 14 – 25. It offers 12 months of in-depth training for Digital Content Creators, Directors, Facilitators, Performers, Producers, Technicians and Writers. • Elders’ Company - The Elders is for everyone aged 60+ who wants to feel connected to new people and ideas, develop performance skills and make boundary-pushing theatre that challenges negative stereotypes of ageing. • Flying Saucers - Flying Saucers is our out-of-this-world sunday programme for families and children.